Zotac has unveiled a newly updated addition to their range in the form of their latest ZBOX which is now equipped with NVIDIA GeForce GT 520M graphics, and has been designed to be used as a home theatre system with HD playback support. 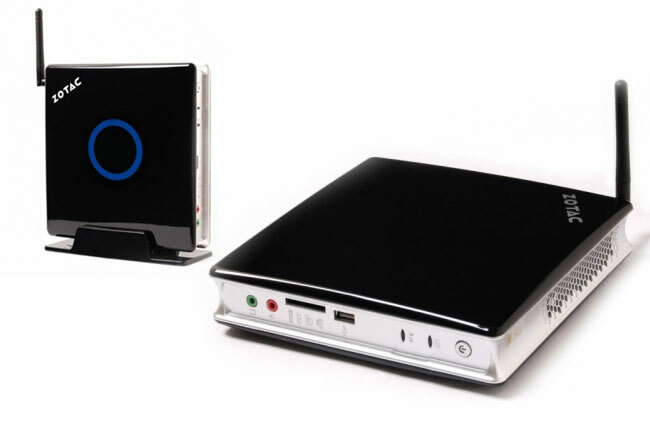 The Latest ZBOX systems are available as either bare bone systems with an Intel Atom D2550 1.86 GHz, dual-core processor. Or can be purchased already equipped with 2GB DDR 3 memory and 320GB 5400 RPM hard drive, ready to use, with Windows 7 or the operating system of your choice. More information and specification are available over on the Zotac website.